Shaving soaps or shaving pucks remain the classic way to lather up a barbershop quality shave at home. With simple yet premium quality ingredients, nothing comes close to shaving soaps in terms of providing a close, irritation-free and luxurious shave. There are many excellent shaving soaps available in the market but not all of them can guarantee all the benefits of using a quality shaving soap. How do you find the best shaving soap? Well, based on these basic criteria of course! Price and time on market. Now that you know what to look for in a quality shaving soap, you can easily narrow down your choices. What, still too much of a hassle? All right. Here is a brief list of the top shaving soaps for 2015, to help you pick the best shaving soap for you! 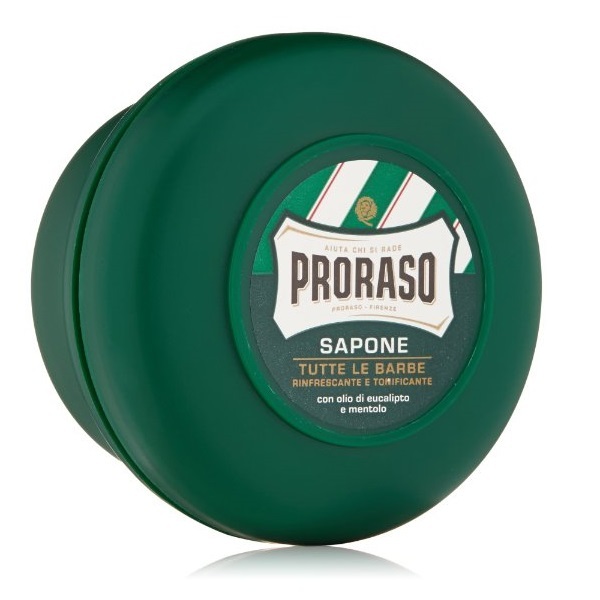 A vintage product, the Proraso shaving soap has been in continuous production since 1948. Although, a wide variety of glycerin-based soaps is offered by Proraso, but the best of them is the Eucalyptus and menthol rich variant. Nothing works quite as well like Eucalyptus ingredients to keep your skin well moisturized and smooth, while shaving. The addition of menthol, enriches the whole experience by acting as a stimulant to open the pores, even as the Eucalyptus oils soften the hair and skin. The only complaint that exists about Proraso shaving soap is that it doesn’t prove to be as effective on thick, cushy beards. More often than not, you are left with a drier or scalier skin post shaving. 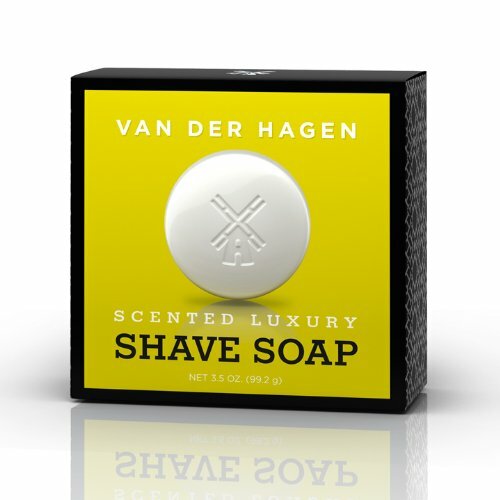 Van der Hagen’s luxury shaving soap makes experiences like those a thing of past. With premium quality ingredients and hypo-allergenic features, it ensures that there are no skin damages during or after shaving. All these qualities, also make it an ideal shaving companion for beginners who have never shaved using a soap before. This one is meant to be taken out on the road with you. It is 2 oz of high quality, shaving product that gives a dense lather to stick with your skin, till you are done shaving those whiskers. 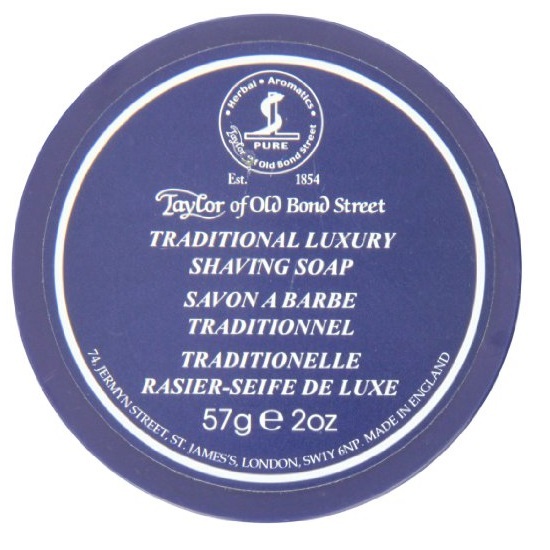 Presented in a small blue bowl, Taylor of Old Bond Street soap is one for generations. The only complaint with this soap though, is that it has a tad too masculine fragrance (as if one could complain about that!). Users have said that the smell is quite strong and lingers for hours; some gentlemen even complained about it reminding them of their grandfathers! Bah. Easily the best shaving soap that is manufactured completely in the United States. Col. Conk offers only glycerin based soaps, that are known to produce a rich lather with minimal efforts. 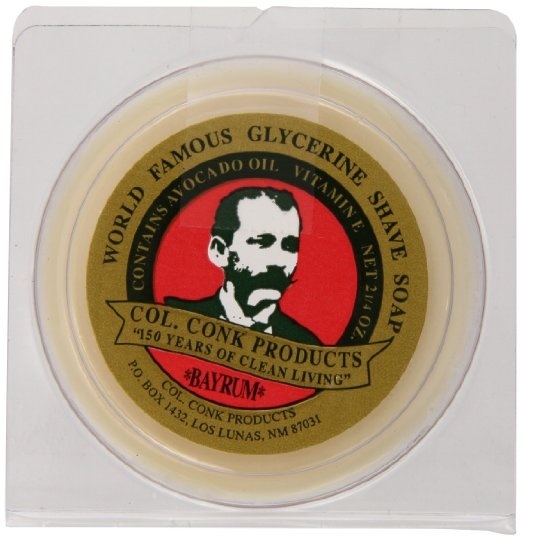 The Bay Rum scented shaving soap is not uncommon among other brands, but Col Conk makes it in the best way. It works excellently with even hard water, making it ideal for people living near sea. The added bonus though is the incredibly cheap price of the soap. And the only complaint about the soap is that it tends to dry out a bit too quickly. 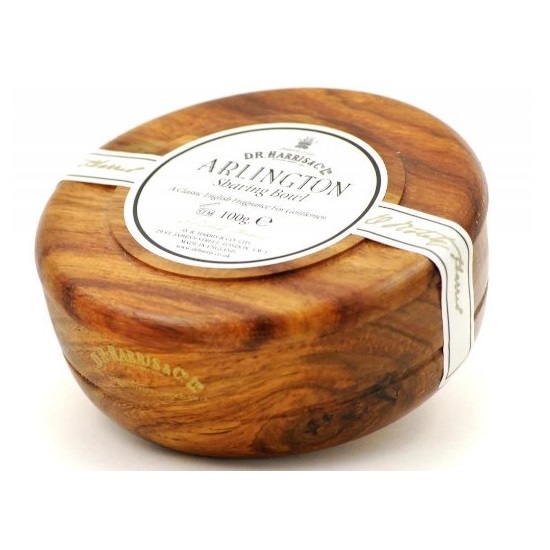 One of those old school, tallow-based shaving soaps, the original D R Harris Arlington shaving soap extensively moisturizes the follicles and puffs them up, for a proper, comfortable shave. It also lasts for a longer time, and the dense lather tends to add another vital layer of lubricant to the surface. Tip: Avoid the other line of D R Harris soaps, the “Naturals”. They are glycerin based and are simply not good enough. This product has been around for several decades now, and is still favored by young and old men alike. 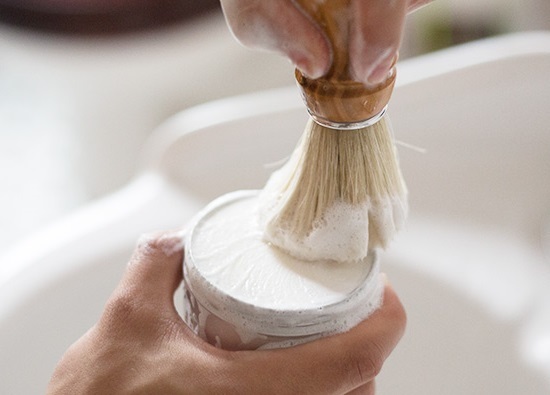 With a unique stick shape, the Arko Shaving soap needs to be cut into small sticks, and then lathered up using a brush and a mug. You can also apply the sticks directly to your face, and then generate lather using your shaving brush. 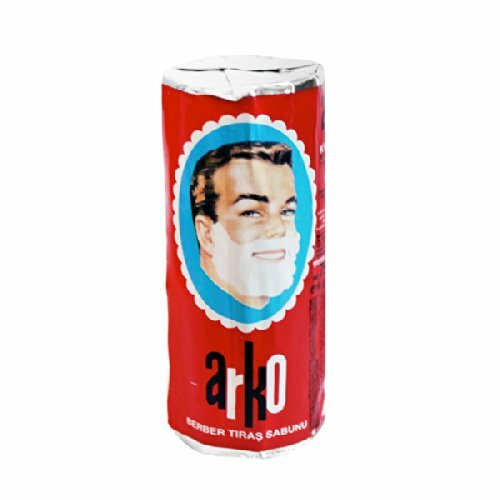 Either way, Arko Shaving Soap delivers excellent, thick lather and a comfortable shaving experience. It is not without its share of complaints though, where users have complained about it smelling of chemicals, or more specifically that of a lemon scented cleaner. A good, strong after-shave does the trick of hiding this smell though. A classic product designed to provide that essentially calming morning routine. 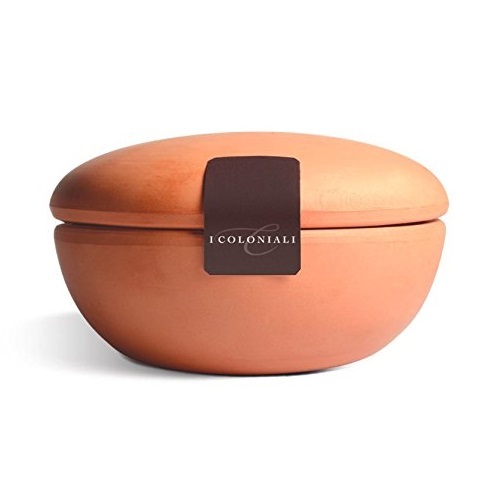 From the moment you work up a rich lather in the accompanying terracotta pot till applying it on your face, the I Coloniali Mango Oil shaving soap reeks of nothing but luxury and class. Its excellent emollient properties ensure that your skin stays supple and soft, post-shaving and the amazing fragrance of Mango Oil imparts a fresh smell that lasts for hours. If you have a very sensitive skin, then you should avoid soaps and creams that have strong chemicals in their composition. 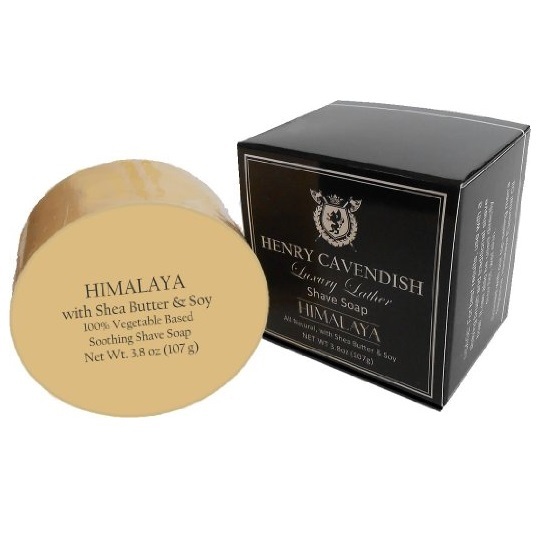 Henry Cavendish shaving soap is an excellent, completely non-toxic soap for men with sensitive skin. Instead of using chemical emollients, it uses an organic ingredient (Shea Butter) to act as a lubricant while shaving. Additionally, in place of synthetic fragrances, the presence of Shea Butter extracts also provide natural and rich smell post shaving. One of the oldest products available, Williams Mug, has been around for a long time. It is especially known for producing a rich, long lasting lather with minimal effort. It also provides an excellent lubrication that removes any chances of skin irritation completely. Williams soap has a neutral smell, that makes it smell much like the regular bath soaps you come across. 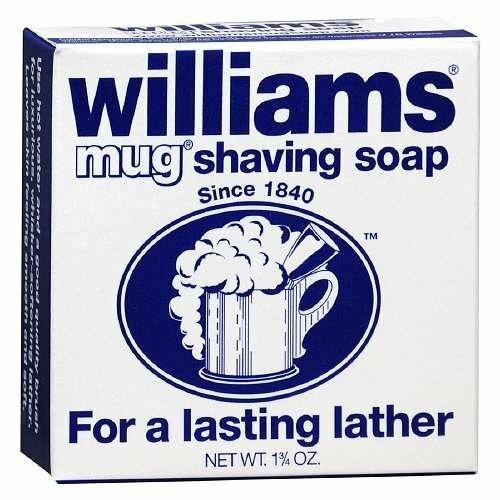 The common complaint about the Williams Mug shaving soap is that it does not moisturize as well as other top quality shaving soaps. 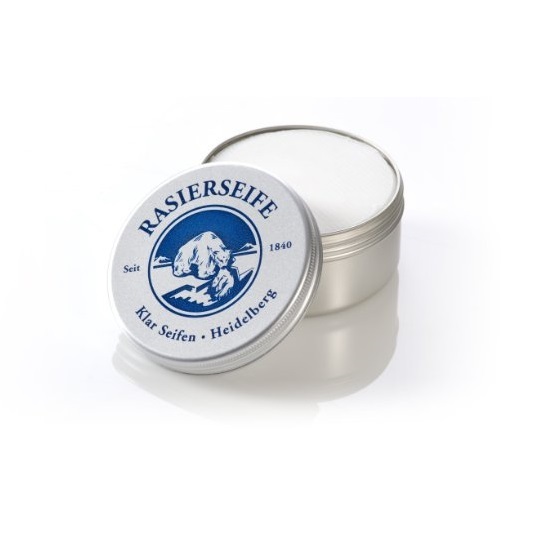 With over 170 years of experience in making quality shaving soaps and creams, German Klar shaving soap easily rivals the best of best shaving soaps available in the market. It uses plant oils to build a luxurious lather and impart a well moisturized feel to the skin. It also happens to have a fresh, clean and masculine scent that lasts for hours. Overall, with its incredibly easy, thick lathering and the lofty cushion and glide that you get while shaving, the quality of Klar is simply unmatched. The only limitation is regarding its availability, and you might have to do a bit of search to actually find the product in the market.